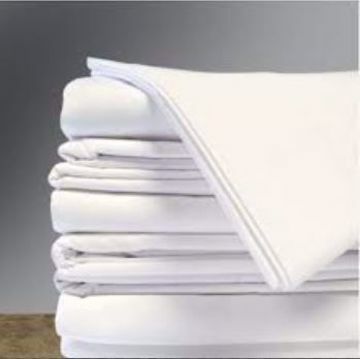 Bed Linen | Wholesale Draw Sheets | Bulk Flat Sheets | HY Supplies Inc.
A wide range of Bed Linens in 50 / 50 Poly Cotton quality. 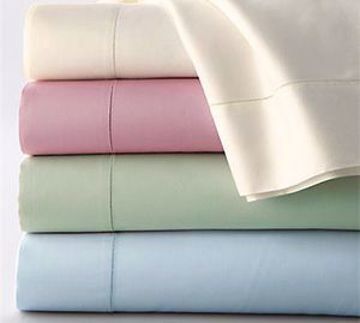 The product line includes Draw Sheets (10 Colors), White Flat Sheets, Fitted Sheets, Pillowcases, Bed Skirts, Bed Spreads, Mattress Pads, and Blankets for all your industrial laundry needs in different sizes at an affordable price. 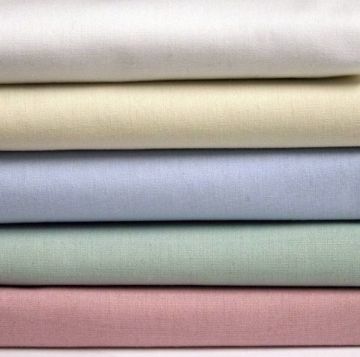 50 / 50 Poly Cotton, Size - 66" x 104", 66"x 108", 66" x 115", 81" x 104", 81" x 108", 81" x 115", 90"x 110", 90" x 115", 108" x 110", 108" x 115", Stock Subject to Availability, Shipping Varies Based on your location. 50 / 50 Poly Cotton, Size - 66"x 108", 66" x 115", 81" x 108", 81" x 115", 90"x 110", 90" x 115", 108" x 110", 108" x 115", Stock Subject to Availability, Shipping Varies Based on your location. White, 50 / 50 Poly Cotton, Size: 42"x 34", 42" x 36", 42" x 46", Stock Subject to Availability, Shipping Varies Based on your location. 10 Colors, 50 / 50 Poly Cotton, Size: 42"x 34", 42" x 36", 42" x 46", Stock Subject to Availability, Shipping Varies Based on your location. White & Bone, 50 / 50 Poly Cotton, Size: 42"x 34", 42" x 36", 42" x 46", Stock Subject to Availability, Shipping Varies Based on your location. White, 50 / 50 Poly Cotton, Sold 2 Dozen Per Pack, Stock Subject to Availability, Shipping Varies Based on your location. 10 Colors, 50 / 50 Poly Cotton, Stock Subject to Availability, Shipping Varies Based on your location. White & Bone, 50 / 50 Poly Cotton, Stock Subject to Availability, Shipping Varies Based on your location. 10 Colors, 50 / 50 Poly Cotton T - 180, Drop Size: Maximum 18" (Specify), Stock Subject to Availability, Shipping Varies Based on your location. White, 50 / 50 Poly Cotton, TOP: Poly / Cotton woven, BOTTOM: Poly nonwoven, FILL: 100% Polyester, QUILTING: Real thread-stitch quilting, ANCHORBAND: Elastic stretch band on all four corners, FITTED: 15" knitted added skirt with elastic edges, Stock Subject to Availability, Shipping Varies Based on your location. 10 Colors, Shell: T-180 50% Cotton / 50% Polyester, Fill: 100% Polyester 5 oz / square yard, Stock Subject to Availability, Shipping Varies Based on your location. 10 Colors, Top fabric: T-180 50% Cotton / 50% Polyester,Fill: 100% Polyester 5 oz / square yard,Backing: White, Poly/Cotton woven fabric,Quilting: Diamond pattern, true stitch quilting,All sizes except Twin 80x110 have seamed side panels, Stock Subject to Availability, Shipping Varies Based on your location. 4 Colors, 245gsm 100% KNITTED SPUN POLYESTER, Hemmed on all four sides,Stock Subject to Availability, Shipping Varies Based on your location. Twin - 36" x 80"
Twin - 72" x 110" Fitted ( 2 Dozen / Carton ) 50% Cot. / 50% Poly, T-180. Twin - 80" x 110" Fitted ( 2 Dozen / Carton ) 50% Cot. / 50% Poly, T-180. Full - 96" x 112" Fitted ( 2 Dozen / Carton ) 50% Cot. / 50% Poly, T-180. Queen - 102" x 120" Fitted ( 2 Dozen / Carton ) 50% Cot. / 50% Poly, T-180. King - 120" x 120" Fitted ( 2 Dozen / Carton ) 50% Cot. / 50% Poly, T-180.